"In the face of imminent danger, a preemptive strike became absolutely necessary", India's foreign secretary, Vijay Gokhale, told reporters in Delhi. The Pulwama attack was the deadliest against Indian security personnel in Kashmir in 30 years. The Pakistan-based militant group Jaish-e-Mohammad claimed responsibility for the suicide bombing. Indian media reports said the country's military was put on high alert to meet any response by Pakistan's air force. "France solemnly calls on India and Pakistan to exercise restraint so as to avert any risk of military escalation and preserve strategic stability in the region", the statement said. He said the munitions caused no casualties or damage on the ground, publishing purported photos of craters left by the bombing. Pakistan's Foreign Minister Shah Mehmood Qureshi said that better sense should prevail in India, and that Islamabad would respond in kind to any "misadventure". Pakistan, however, downplayed Tuesday's incident, saying Indian aircraft violated Pakistani airspace and that Indian jets "released a payload" hastily in a forest area after crossing the line of control. Four people, including two children, have been killed and seven others wounded in an exchange of fire between Indian and Pakistani troops in Pakistan-administered Kashmir's district of Kotli, officials said. 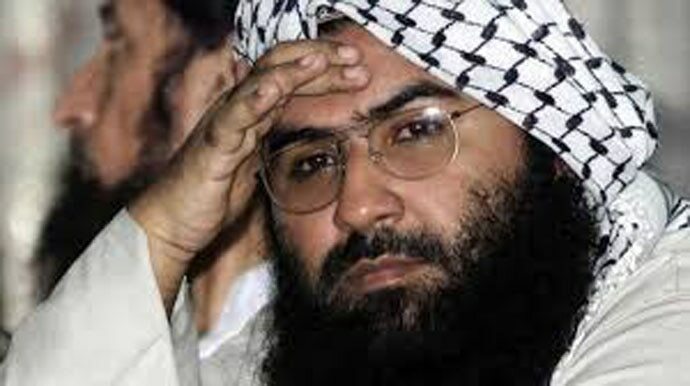 "Besides the symbolic value of the camp and its importance for Jaish's war against India, Azhar's continuous presence there was one of the main reason that the government chose to target the Balakot camp", said a security official. The leaders were speaking at an all-party meeting convened by the government, where External Affairs Minister Sushma Swaraj briefed them about the operation that destroyed Jaish-e-Mohammed's (JeM) terror training camp in Balakot in Khyber Pakhtunkhwa province of Pakistan. "India has been repeatedly urging Pakistan to take action against the Jaish-e-Mohammed to prevent jihadis from being trained and armed inside Pakistan." In a tweet Tuesday, he said, "Indian aircrafts intruded from Muzafarabad sector". Kashmir - divided between India and Pakistan but claimed by both in its entirety - has been the cause of two wars between the uneasy neighbors. India routinely accuses Pakistan of arming and training militants who cross the mountainous Himalayan region. After the airstrike, Lt. Col. Devender Anand, an Indian army spokesman, said Pakistani soldiers attacked Indian positions along the boundary in Kashmir, the so-called Line of Control. Islamabad has said it had nothing to do with the attack, and warned it will retaliate if India launches any strike. "Pakistan has taken no concrete action to dismantle the infrastructure of terrorism on its soil".